We at Georgia Hydrant Services, Inc. specialize in all your fire hydrant needs. 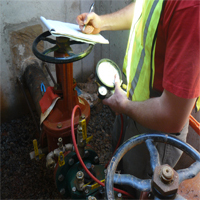 Maintenance, Repair, Testing, Extensions, Installation, or Replacement. References are available. Valve Insertions 4" to 16". Need a valve? An InsertValve is the answer. 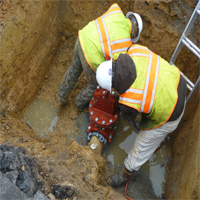 With our valve insertion machine we can insert a working valve on almost any type of water line without water interruptions. References are available. Want a “Turn Key” contractor? 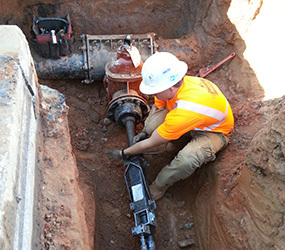 Whether you need water lines run into your subdivision or Fire & Domestic water lines run on your commercial site, Georgia Hydrant Services, Inc is your source! We have the experience and the ability to complete these projects from start to finish. Looking for a GA state certified tester? 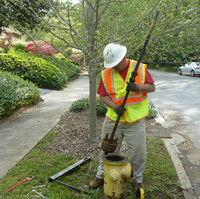 Let Georgia Hydrant Services, Inc. help you with testing, replacement or installation. 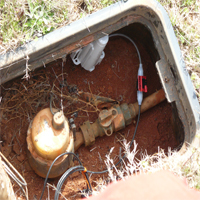 Need to connect to an existing water line? We can perform a wet tap without interuption. 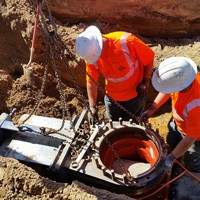 Whether you need to install a fire hydrant, fire line, or connect to a water main for a new construction project, we're here to help. Offered on 3/4" to 12" water lines.